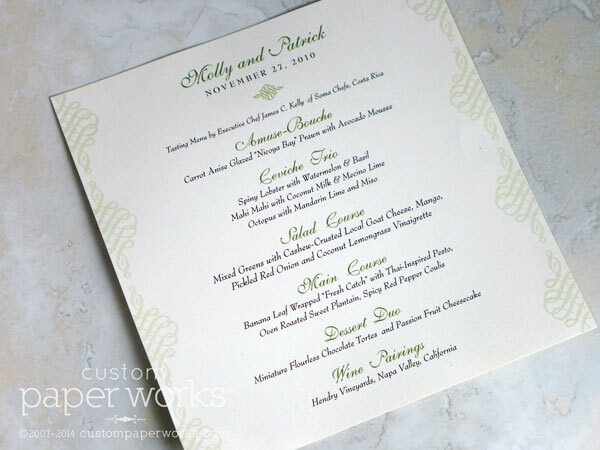 Molly and Patrick were an absolute blast to work with. 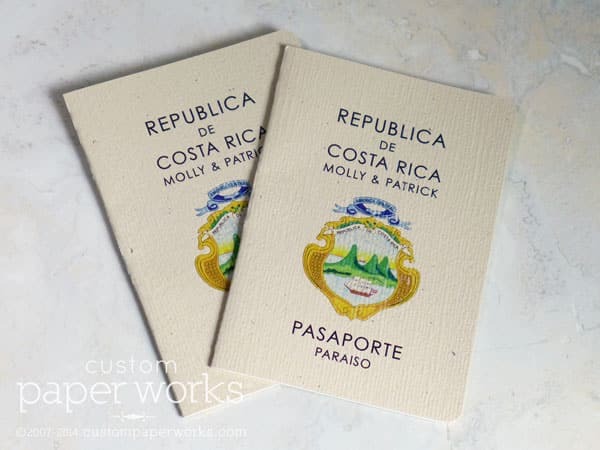 We created “Welcome Passports” with an amazingly soft tan textured cover and flecked matte off-white inside pages to maintain a rustic-tropical-natural Costa Rican vibe. 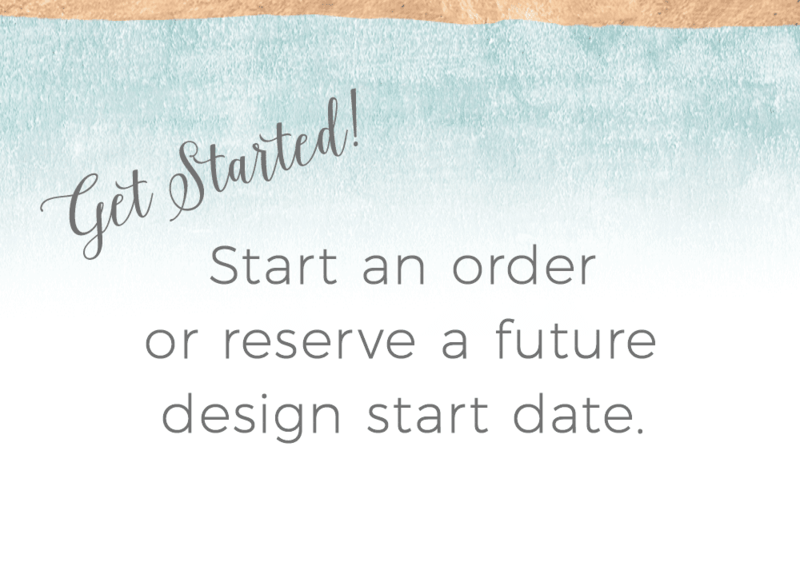 They let me know that staying eco-conscious was important to them, and I was excited to be able to provide information that helped them select a paper with a high percentage of recycled content, as well as paper ACTUALLY MADE in the same state that our studio is located. 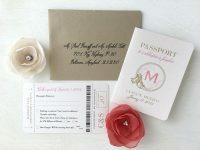 Which means I can confidently state that this wedding program is 99% made in Michigan (the small amount of adhesive and staples are the only components excluded). 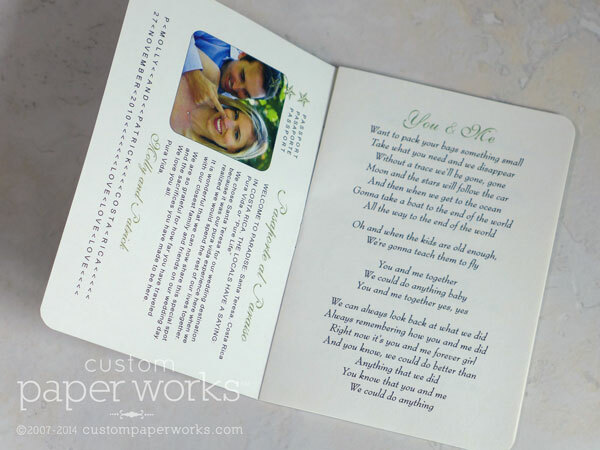 Can you tell by their choice of photo they are a super-fun couple? 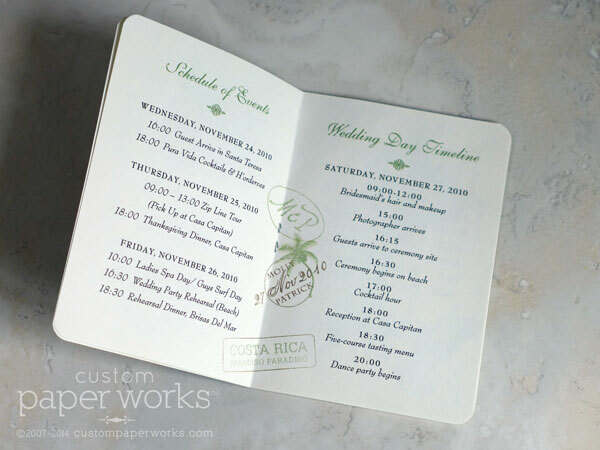 Working with their wedding planners, menus for each guest were created exactly to the size needed to be perfectly framed by their chargers. 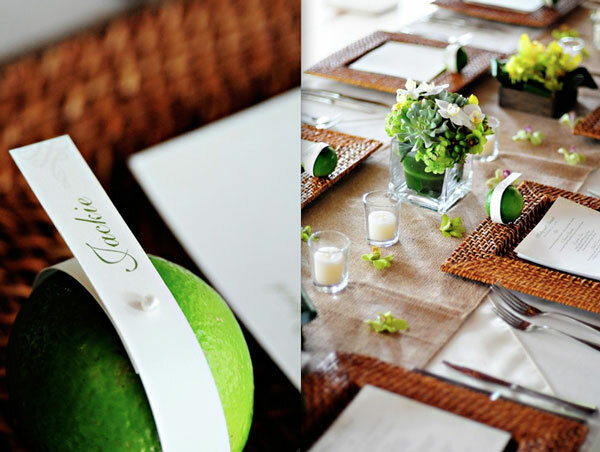 And the most adorable place cards – thin strips wrapped around limes greeted each guest at their seat! The photo below is from El Velo Photography. 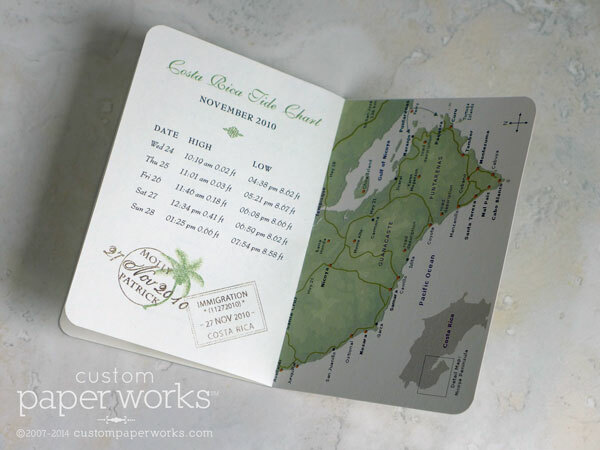 See more photos of their gorgeous wedding at Tropical Occasions.